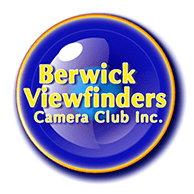 Berwick Viewfinders Camera Club Inc. Competition Documents - Berwick Viewfinders Camera Club Inc. The Club holds internal competitions throughout the year. There are commonly called AGG competitions. AGG stands for “aggregate points system”. Details of these competitions can be found in the Club By-Laws. When they are being held will be found in the Club Calendar. Each year we usually hold four AGG competitions with an Open theme and three AGG competitions with a Set Subject theme. The entry form for these AGG competitions can be downloaded.